THE PROPHETIC PROCESS THAT PRODUCES THE “DIAMOND EFFECT”…. I once considering moving to Cape Town, South Africa years ago. I had to study the history through friends and family. I had some knowledge about the South African Diamond Industry because of the struggle for many to savage ownership of their investments. I was fascinated with the legacy of some families that were sustained and some even murdered for just a piece of the Diamond Industry. I saw the great lengths of study of knowing what many of them may possess but yet the story of it all hasn’t nearly been told. The story of the diamond is amazing… and only one with greater experience can explain the beauty out of the ugliness. There is nothing beautiful about pain but in many instances of life… like giving birth bring much beauty and priceless. Just like being a true prophetic voice means more than locking arms and singing songs… We that know the process, it is just as dark as it looks until we are seen and heard by the world. Many don’t like the charcoal because all they can see that it bares nothing to beauty. If God can save me, he can save anyone. This wont be apart of my marketing strategies for my upcoming book or music but my re-affirmation of who I am…There is the successful one who believes he or she has arrived and spent most of their lives living A LIE… I think the most frightening thing I had to realize is that you can become a legend in your own mind. Wake up realizing that what you did all this time had nothing to do with the change of mankind or had anything to do with God but it was SELFISHNESS… I also learned immediately in ministry you can become a commodity and the pew member. You can become that investment for the better or the harvest of sadness tomorrow. Honesty and integrity is vitally important to see God’s best. If it isnt’ being taught or practice… Guess what you have? Grace and mercy have been so abused. I already know God knows we aren’t perfect but God knows when we are also phony. Every dark and ugly will not produce the diamond. 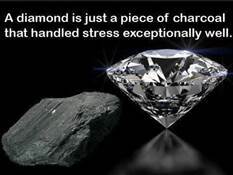 The diamond is already there waiting to be perfected through the pressure. This doesn’t make this less than diamond. Why people miss what is good and bad? Because they identify with what they are. Some people ride out on being a cheap pattern of something else. All jewels are not the same… And more than often we compare apples with the oranges with gems… Many might have their own uniqueness but still many cannot sustain the pressure of a diamond! Often times re-commitment comes through trials and tribulations. Some are not embracing change but hindering progression The process of evaluating and eliminating. What might seem important to you …God could care less. We fear really being led by God because this means what who you think you are and what you want others to think might come under scrutiny. This is called PRIDE. Understanding the seasons of when to hold on tighter and when to let go. We can’t often see the bigger future because we are crippled by what once was or what it use to be. God has indeed turn over many new chapters in my life. I keep in my mind that my posts might not be for everyone but if I can reach one heart for the day…I have truly touch the masses. I am sold out and not a sell out… There is more to me but only God and God only can birth the diamond effect. We have mentors but they are still of human nature that are flawed. Either they will bring out the worst in you or connect with the evil side of you. You can’t lie about your own “jacked up” nature. I am not speaking this fake humility. Being “real” means I know who I am even if man doesn’t affirm me. I don’t go along to get along. Telling the “truth” will sometimes exclude you. The biggest misconception today is materialism is the way to go. All so many say they advocate change for the better… all you have to do is watch who they are when they “think” no one is observing. You can’t be the world looking like them that is why so many are not fascinated with the church and what’s in it. They see what mirrors their lives… Being set apart doesn’t mean you embrace the ways of man. It takes awhile for some of us to get there. We have to learn how to get the courage and stand…We have to be bold in our stance even if it isn’t popular. Never have I seen such displeasure for the “truth” even in the pulpit. The danger is telling people it will be alright when it wont be alright if we don’t confront the lies! I can sell myself to devil for 50 cent and still come up with nothing. I think what has been one of most rewarding for me in ministry …Is to hear someone tell me at least you will tell the truth… and they see it. Many find themselves “hating” Godly success because they see where they really are. I can’ t sell perfection because I am still that work in progress and I don’t have to put on “fronts” and play the games people play to get adored.. A person in my position has to stay “humble” because I couldn’t dare navigate through the circles of life , surrounded by people who may “try” emulate the characteristics of being a woman or man of God and you see something totally different. We can’t win the world being a bunch of opportunists and entertainers. Some many have started out well but got caught up in the night games. If you follow trash you will eventually have he smell of garbage on you. Many are deceived by strong followings of delusion not what it deem necessary for trust but what might be profitable for them… and this has nothing to do with God. Sadly, many have convoluted ways of confusing a mess with achieving status which has nothing to do with what God has called many of us to do. The diamond has went through such hard time to be here and only the processor knows its real value. Take this prophetically… a test of the true genuineness, They don’t fake it until they make it… It is, what it is..
1) Diamonds are shinier than fakes. 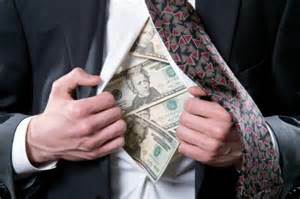 When many have to put on the frills and whistles to be like or when the influence of people… The lost their luster already because they know they are fakes! 2)Transparency …Genuine diamonds have too many reflections… it’s impossible to see. And can handle everything that comes their way because of the process of being the truth. 3) Weight … can only be done by a professional.. God knows the real process of everyone he called under pressure. Fakes can’t handle the weight many run from the pressure and get from under it. So many lie on God and say he said… Only God knows where they come from and give his true prophets the discernment to know that they are deceivers. God’s Laboratory of Certification of it’s authenticity is vital and its not ignored neither is it complacent with the lack of process and pruning. Without the process many are still labeled as the same old charcoal!